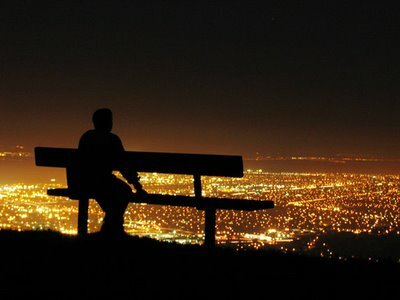 They can give you the best view in the city, they are romantic, they are full of green, they are interesting… the hills of Athens are something that you must not think light about. Wear your most comfortable shoes and enjoy them with your partner or your family, day or night! The city... on your feet! 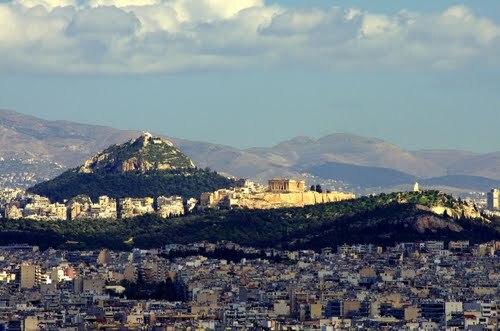 Enjoy the most amazing view of Athens on Lycabettus Hill. There is a little graphical church on top of it and a café restaurant for romantic dinners under the moonlight. Find some time to visit it and you will not be sorry! The perfect place for a date in Athens! Seven hundred acres filled with trees, wooden bridges, trails, Dimitri Pikioni creations and countless bird species await you on a ride on this hill. Walk and enjoy the stunning views of the Acropolis. It's one of the most romantic places in Athens for walks hand in hand with your partner, also ideal for families with young children. Starting from Exarchia Square, climbing stairs filled with graffiti you reach the hill turns. It is a green area full of pine trees, very popular to residents who visit it alone or with their pets or take their children on the playground. It's also a favorite location for young students who sit for hours on the benches of the park. There's a cute coffee shop for a coffee or a beer, at low prices indeed. In Piraeus and specifically at the district of Kastela, one finds the Prophet Ilias (Elias), a place with magnificent view. It borrows its name from the homonymous chapel on top. Ideal for bowling lovers, since there is a great bowling-cafe area, but also large terraces where you can enjoy unlimited view of the sea or the Acropolis, depending on which side you will decide to sit. The surrounding area is full of restaurants, cafes and bars. Extending on two hills, it's a large area full of trees, ideal for walks with children. There are tennis and basketball courts, playground, little streets in dense vegetation, perfect for walking. An open theater hosts summer musical and theatrical performances. Two large café restaurants with wonderful views will offer you a coffee or a drink in a very romantic atmosphere. This hill is best known for hosting a lovely café restaurant at the top with a magnificent view of the city and the sea. If you go there be sure to visit the Diomidio Botanical garden at the back side, where you will find samples of rare flowers from all over the world.